I just finished reading a great book that substantially changed how I think about economics - "Economism: Bad Economics and the Rise of Inequality" by James Kwak. In a nutshell, the book describes "economism" - which has also been called "Econ 101ism". It is the over-reliance on basic microeconomic principles (the kind I teach in my principles of microeconomics course) and the failure to realize (or admit) that the predictions and prescriptions of these simple models often fail in the real world. Econ 101ism arguments are usually employed by libertarian-conservative types who argue for less government/more laissez-faire. Lower taxes, less regulations, etc. Most Econ 101ism devotees would admit that there are exceptions and instances where government intervention can improve things, like in the case of environmental externalities. But, sometimes these 101ism arguments are also employed by the left. For instance, the left across American and Europe is making a lot of pro-immigration and pro-trade arguments, while many on the right are arguing for isolationism and protectionism. In this case, it's the left that is on the side of Econ 101ism, since "free trade benefits both sides" is another tenet of 101ism. Of course, that doesn't make it wrong. But we should be wary of arguing about important and complicated issues using simple models that I can teach an undergraduate in 5 minutes. What does this have to do with environmental policy? It occurs to me that even we environmental economists may be guilty of relying too heavily on Econ 101ism when arguing for policy. Specifically, environmental economists often feel that it's their primary mission in life to convince as many people as possible in the virtues of Pigouvian pricing relative to any other environmental policy. Environmental economists often will go so far as to scoff at any alternative policy. I've done this myself! Several times! Even in this blog! Preferring Pigouvian pricing to command-and-control policies is fine, and most probably taxes are more cost-effective. But economists may be guilty of letting the perfect be the enemy of the good by constantly reminding everyone around them of the inferiority of alternative policies. Larry Goulder gave a talk at the AERE luncheon at the ASSA meetings earlier this month in Atlanta, arguing that the "probability of implementation" ought to be a desideratum of environmental policy alongside cost-effectiveness. If a command-and-control policy, like a federal clean energy standard, is more likely to pass than a tax, that might trump its lack of cost-effectiveness. Alternatively, environmental economists could think more carefully about making environmental pricing more popular and therefore implementable. My colleague here at Georgia State University, Stefano Carattini, recently published a comment in Nature describing his research that returning carbon tax revenues to households increases their popularity. One of the most illuminating points made by Kwak in "Economism" is that, when making arguments appealing to Econ 101ism, the arguers will often claim intellectual superiority by insisting that anyone who disagrees with them only does so because of their ignorance. "If you understood economics, you wouldn't support the minimum wage." Some of us environmental economists may be guilty of the same hubris. Lots of research has been done on the political science of environmental policy, and there is a lot of opportunity for economists learn something from it. I signed the "Economists' Statement on Carbon Dividends"
I am writing to invite you to join me, 27 Nobel Laureate economists, 3 other former Chairs of the Federal Reserve and 15 former Chairs of the Council of Economic Advisers as a signatory of the Economists’ Statement that you will find below. Our statement was released today on the opinion page of the Wall Street Journal. A full list of the original co-signatories appears below. This statement outlines what we believe is the most cost-effective, equitable and politically-viable national climate solution. Now more than ever, it is critical for economists to point the way forward and coalesce around a bipartisan climate policy. Our goal is to enlist thousands of economists from around the country as additional signatories to demonstrate the breadth of support within the economics profession for this market-based solution. I encourage you to join by clicking the link below. f you wish to sign on, please do so at your earliest convenience. Also please feel free to share this invitation with your colleagues in the economics profession. Once we have sufficient signatures, a final version of the statement will be posted online, including the names of all signatories. This effort is being coordinated by the Climate Leadership Council, of which original co-signatories Ben Bernanke, Martin Feldstein, N. Gregory Mankiw, George Shultz, Lawrence Summers and I are Founding Members. Any questions can be directed to [email protected]. Thank you for seriously considering this invitation. III. A sufficiently robust and gradually rising carbon tax will replace the need for various carbon regulations that are less efficient. Substituting a price signal for cumbersome regulations will promote economic growth and provide the regulatory certainty companies need for long-term investment in clean-energy alternatives. One might quibble with different parts of this but don't let the perfect be the enemy of the good. Here is the link where you can sign: https://www.econstatement.org/sign-the-statement (I think this will work ...). "Appling Design Concepts to Increase the Impact of your Presentations"
"Adding Logic and Proof Concepts to Your Intro Courses"
"Social Media but in a Way That's Kind of Useful"
"Writing Grants is a Skill: Tips for Success"
Thanks to Jessica Post for the videos! The key issue now is how all of this plays out over the next two years, leading up to 2020. That is both the year when the United States can formally exit the Paris climate agreement and the year when member countries need to announce more-ambitious climate plans. That leaves a world facing a make-or-break decade for emissions reductions still unsure of exactly what role the United States will play, if any. The headline is likely an overstatement. Did emissions spike? Emissions in 2018 are still below the pre-Great Recession peak and below several years since the decline began (again, due to the Great Recession). There may be some sort of cyclical pattern here too. In other words, there have been three "spikes" since the peak. The most recent may be related to the 2018 tax cut. As that wears off we might get closer to the Copenhagen Accord target in 2019 and a recession in 2020 might really nail it. The new strategy comes as the kingdom seeks to cover a large government spending boost. It said last month that it planned to increase its expenditures by 7% in 2019—the equivalent of about $20 billion—as the country struggles to fund ambitious plans to diversify its economy beyond petroleum products. Crown Prince Mohammed bin Salman, the de facto Saudi ruler, has faced a sharp decrease in oil prices since October amid a supply glut. The brutal killing of journalist Jamal Khashoggi by Saudi operatives in October has also deterred foreign companies from working in the kingdom and investing in its economic development plans. The new Saudi budget requires oil prices to rise to as much as $95 a barrel, according to an official with the Organization of the Petroleum Exporting Countries. But the kingdom would be satisfied with prices at $80 to $85 a barrel, a range that would limit its need to dip it into its financial reserves, according to people familiar with its thinking. To cover proposed expenditures, Riyadh is set to reduce crude exports by up to 800,000 barrels a day from November levels. Saudi Arabia exported about 7.3 million barrels a day of crude last month. That was already down from around 7.9 million barrels a day in November and 7.7 million barrels a day in October. Brent crude, the global benchmark, rose 1.2% to just under $59 a barrel and WTI jumped 3.5% to just under $50 a barrel Monday after The Wall Street Journal reported Saudi Arabia planned to deepen export cuts. According to me, the elasticity is -0.28. What am I doing wrong? Oil prices fell below $80 a barrel in October after Saudi Arabia turned up the spigots in response to U.S. pressure to replace sanctioned Iranian oil. The increase turned out to be more than the market needed. President Trump is going to need to place another phone call to get U.S. gas prices back down. This is great, right? You could pair the visitation data for a bunch of sites with water quality, temperature, hurricane, and other data and that might be pretty cool in a count data model. The NPS site also has a link for each park with comments on each month's data collection. Let's see if there's anything interesting there. Well, crap. A lot of the data is estimated and some portion of the data is missing due to non-response. And even though I posted a snippet, some sort of comment appears to be made each month. Kudos to NPS for posting such detailed information about their data. Each park's statistics also include "Visitor Use Counting Procedures," which are a series of PDF files on the methods, which NPS suggests you check to see if a change in procedures could have affected counts. I wanted to circle back to a theme that's come up in this blog before, regarding stated vs. revealed preference data. Many economists would dismiss SP data about the Gulf but accept a table of numbers from the government. But this data is really, really messy. I'm not even sure how you would handle it--you'd need to separately control for any changes in count procedures and also estimation by site each month. Maybe beg for the daily data, if those exist? Note: We didn't use the data, not because it's messy, but because there aren't enough sites across the Gulf. "What's the Deal with the Green New Deal? Here’s what I’ve been able to understand about the economics. With the requisite analogies to the original New Deal, the space race and World War II, the GND calls for a massive mobilization of government (US Federal, given the provenance) spending and policies to, “significantly draw down greenhouse gases from the atmosphere and oceans and to promote economic and environmental justice and equality.” Ocasio-Cortez’s Google Doc lays out some specific goals, including 100% renewable electricity, a national “smart” grid, energy efficiency investments, eliminating GHGs from transportations and other sectors, and a lot of investment in infrastructure. In general, though, I’m very sympathetic to the idea that the US government needs to do a lot more to address climate change, and the GND’s first steps aren’t totally whacky from an economics perspective. I hope Ocasio-Cortez and others succeed in mobilizing interest and putting climate change back in the political spotlight. And, I hope this is the first of many posts we’ll do on the GND. This paper introduces a special issue devoted to the benefits transfer methods used as part of benefit costs analysis for policy analysis. 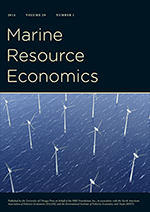 Benefits transfer methods, as they are applied for environmental policy analyses, use economic concepts together with existing empirical estimates to predict the incremental benefits from a change in some feature of an environmental resource. After giving two examples of the decisions that analysts confront in performing these analyses, I discuss the interconnections between the papers in this issue and the research challenges that emerged from discussions of them. We develop an approach to valuing non-market goods using nonparametric revealed preference analysis. We show how nonparametric methods can also be used to bound the welfare effects of changes in the provision of a non-market good. Our main context is one in which the non-market good affects the marginal utility of consuming a related market good. This can also be framed as a shift in the taste for, or quality of, the market good. A systematic approach for incorporating quality/taste variation into a revealed preference framework for heterogeneous consumers is developed. This enables the recovery of the minimal variation in quality required to rationalise observed choices of related market goods. The variation in quality appears as a adjustment to the price for related market goods which then allows a revealed preference approach to bounding compensation measures of welfare effects to be applied. This was actually one of harder things I have had to do at EPA. I volunteered to be a discussant because I could recall being exposed to the technique in micro theory (Varian was one of the earlier developers and it's in his textbook). This method has not been used much in environmental economics (I only found four examples) but allows bounding of indifference curves--and therefore welfare measures--without functional form assumptions. Let me try to sketch the logic. In the figure below, there are two goods (superscripted) with one observed choice (subscripted). The shaded area RW is revealed worse, because any choice in that area was attainable but not chosen. The shaded area RP is revealed preferred, because any choice in that area would have strictly more of both goods. The indifference curve must therefore line in the unshaded area. Now, if you have more choices, you can narrow the indifference curve. There are further details in the paper on how to tighten the estimates of the indifference curves and then bound welfare estimates. The idea for benefit transfer (and let's be clear, this was Kerry's idea) is to use these kinds of estimates to help us benchmark parametric estimates of welfare. But it's a really cool paper! Also in the issue are a paper by Cathy Kling and Dan Phaneuf on scope and adding up; and a paper by four current or former EPA authors (Steve Newbold, Patrick Walsh, Matt Massey, and Julie Hewitt) that improves a meta-regression framework by imposing theoretically-consistent assumptions on the functional form. And Kevin Boyle and Jeff Wooldridge have a great paper on how to handle errors structures and panel data in meta-regressions. And there are more, but I don't have a lot to say about them. Important note: Whitehead (2016) gets a lot of love in this issue.